MOVING FORWARD BY THE GRACE OF ALLAH." General ALHAMDULILLAH WE HAVE A BUILDING IN OHIO. NOW ALL WE NEED IS FUNDS TO FIX THE BUILDING UP FOR USE AS A SHELTER FOR SISTERS. ANY DONATIONS WILL BE WELCOMED. They have the best adab, ahklaq, and manner of speaking Just like the truly pious sisters there are only a few truly pious brothers And the truly pious brothers take care of their sisters and mothers The truly pious brothers have exemplary ahklaq Pants rolled above the ankle and carrying a miswak The truly pious brother is cautious about violating others rights And you can hear his attachment to the Quran with every Surah he recites His forehead has the mark that only one can get from praying tahajjud every night Noor eminates from him, and every strand of his beard twinkles like a light And if the time comes to fight, then he will not take flight He will enter the battlefield strong like a knight The truly pious brother makes dua to Allah for his enemies to be guided And doesn't incite hatred towards other Muslims, lest we become more divided The truly pious brother's eyes are always looking toward the ground Lowering the gaze because non-mahram women are around He never insults or curses anyone, and never wastes time He's always just with others and keeps his nafs in line The truly pious brother is always trying to learn more in the deen Traveling for the sake of ilm is a regular routine The truly pious brother is always making istigfar for the sins that he may or may not have done. And he is not the lazy, depressed or pessimistic one The truly pious brother loves for his brother what he loves for himself He is never satisfied with his condition, so he is always improving himself And you will find that the truly pious sisters have sabr and complete tawakkul in Allah And the truly pious brothers have devoted themselves to seeking the pleasure of Allah And you will find that those that are truly pious are like the scent of perfume in the air To the average Muslim, they just don’t compare They are like precious jewels that are extremely rare Remaining in their pure form because they are unfit to wear So if you want to marry from amongst those that are truly pious, then be worthy and not obscene And don't waste your time looking for them in places that they would never dare to be seen You would never go to a swamp to discover a pearl! Unless instead of a pious woman you want a cover girl! And if you think that you can go to a garbage dump in search of diamonds Then that is because you're looking for Cubic Zirconia, and not those that are truly pious. Books QUR'AN AND HADITH Narrated 'Ursa: The Prophet asked Abu Bakr for 'Aisha's hand in marriage. Abu Bakr said "But I am your brother." The Prophet said, "You are my brother in Allah's religion and His Book, but she (Aisha) is lawful for me to marry." TAQULLAHA is in your extended network. MAY ALLAH HELP AND PROTECT US ALL FROM THE SNARES OF THE SHAIYATIN, INSHA ALLAH. PLEASE MAKE DU'A FOR ME I AM ABOUT TO LEAVE FOR AFRICA TO PUT TOGETHER AN MUSLIM ORPHANAGE. RECENTLY SOMEONE VISITED MY PAGE, AND WHEN I NOTICED IT I WENT TO THEIR PAGE TO SEE WHO THEY WERE. THEY HAD BLOCKED ME BUT THEY ARE LISTED AS ONE OF MY FRIENDS. IF YOU DONT WANT ME COMING TO YOUR PAGE THEN YOU SHOULD NOT VISIT MY PAGE AND REMOVE ME FROM YOUR FRIEND LIST. SIMPLE AS THAT. THANK YOU. MY NAME IS FARIS ABDUL-MATIYN, AND I RESIDE IN OZONE PARK, NY. 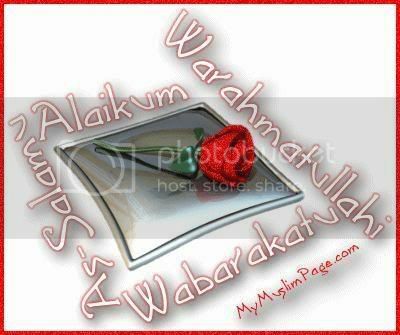 I AM SEEKING A SISTER FOR NIKAH WHO WEARS HIJAB, ALWAYS, AND MAKES THE FIVE SALATS EACH DAY. I am 5'10" & 240lbs. SOMEONE WHO IS NOT MATERIALISTIC, BUT LIKES WORKING TO ESTABLISH A SHELTER FOR MUSLIM MOTHER. SHE MUST BE WILLING TO SIT AT LEAST THREE TIMES A WEEK SO I AND HER CAN STUDY ISLAM, AND SHE MUST BE OPEN MINDED. I AM SUNNI MUSLIM AND TRY TO FOLLOW THE SHARIAT AS STRICK AS POSSIBLE ON MYSELF. I DRESS IN SUNNAH ALWAYS. IF YOU ARE INTERESTED PLEASE HAVE YOUR WALI CONTACT ME AT 718-835-2732; AND PLEASE SEND ME A PIC OF YOURSELF BY SENDING THE SAME TO faris_abdulmatiyn@yahoo.com INSHA ALLAH. MAY ALLAH HELP AND GUIDE US IN THIS AFFAIR INSHA ALLAH. THIS IS A WEBSITE I PREPARED SOLY FOR SISTERS TO GO TO AND SEE WHO I AM. I MADE VIDEO'S AND PUT THEM ON IT TALKING ABOUT MY DIYN, AND SHOWING THE KNOWLEDGE I HAVE. THERE IS NOTHING ELSE ON THIS SITE EXCEPT INFORMATION ABOUT ME FOR PURPOSES OF NIKAH. I AM STILL BUILDING IT AND YOU WILL HAVE TO COME BACK FROM TIME TO TIME TO SEE ANY UPDATES. I WILL CLOSSE THE SITE WHEN I MARRY INSHA ALLAH. As'salaamu'3alaikum WaRa7matullahi WaBarakatuhou. Kayfa Haluka, Sheikh. Insha'Allah, I hope you're doing well. I'm sorry for the long hiatus. I've been busy working. Insha'Allah, we'll talk soon. Narrated Ibn Mas'ud: A man asked the Prophet "What deeds are the best?" The Prophet said: (1) To perform the (daily compulsory) prayers at their (early) stated fixed times, (2) To be good and dutiful to one's own parents. 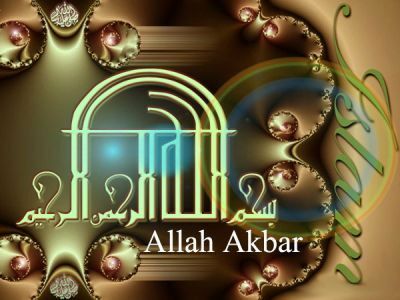 (3) and to participate in Jihad in Allah's cause." Alsalamu Alaikom Brother! Have a great jumah! Narrated 'Umar bin Al-Khattab: Once a Jew said to me, "O the chief of believers! There is a verse in your Holy Book Which is read by all of you (Muslims), and had it been revealed to us, we would have taken that day (on which it was revealed as a day of celebration." 'Umar bin Al-Khattab asked, "Which is that verse?" The Jew replied, "This day I have perfected your religion For you, completed My favor upon you, And have chosen for you Islam as your religion." (5:3) 'Umar replied,"No doubt, we know when and where this verse was revealed to the Prophet. It was Friday and the Prophet was standing at 'Arafat (i.e. the Day of Hajj)"
Alsalamu Alaikom brother. I am wishing you a happy Jumah; may Allah protect you inshallah. Verily, the likeness of 'Îsa (Jesus) before Allah is the likeness of Adam. He created him from dust, then (He) said to him: "Be!" - and he was. Jazikullah khayr brother for the friends request. AS SALAAMU ALAYKUM MY BROTHER AND MY SISTERS AND BROTHERS IN AFRICA'BY ANY MEANS NECESSARY', MAY YOUR ISLAMIC NEW YEAR ALWAYS FIND YOU ALL HOLDING FAST, ALL TOGETHER, BY THE ROPE WHICH ALLAH STRECTCHES OUT FOR YOU. AND REMEMBER WITH GRATITUDE ALLAH'S FAVOUR ON YOU . HAPPY NEW YEAR! As salaamu alaykum wishing all is well and the muslim shelter. Assalaamu alaykom! kool aam wento bekhair! Eid Mubarak! How are you and your family?Inshallah everyone is fine and in the best of health and iman. I miss u! With so much love for the pleasure and glory of Allah! KEEP ALLAH IN YOUR THOUGHTS AND ACTIONS. Mashaa Allah, how is my dear Muslim amongst, the good-doers? May you receive this text upon Allah’s peace and living with his guidance, the guidance of truth in the atmosphere of your time, pushing aside the falsehood and establish the truth as did all of the prophets, messengers, companions and all those who follow in their footsteps. Know that the guidance of Allah is the guidance. The guidance of Allah is Islam which has all the guidance beyond which there is no guidance. In this month, the month of Hajj to the House of Allah builded by Prophet Ibrahim and his son Prophet Isma’il, On the day of Eid ul-Adha I'm wishing you a good and enjoyable celebration with the Muslims; in the remembrance of the great victory that was established by Prophet Ibrahim who had only love for Allah with firm faith stood against his father and the people of his community. Prophet Ibrahim crushed the falsehood and established the truth,as he recalled what Allah said: “They will stay fighting you until they turn you away from your religion if they could.” Allah has forbidden falsehood and has ordered the people of truth to push falsehood and establish the truth. All of our prophets and messengers had answered to this called because this is Allah’s universal law to mankind, to push, crush, and not support the falsehood. The people of falsehood worship celestial bodies such as the stars, sun, moon and the planets, while the people of the truth worship the Creator Allah who created these things not as deities, but are fashioned, controlled, managed and made to serve. Other people were practicing idolatry, the worship of their kings, rulers and status made from stone and wood. These people of the falsehood are in manifest error. There is no other deity except Allah. We have been created to worship and obey Allah. . Allah said: “And I have not created the humans and jinns except to worship Allah.” Whosoever does not see well to this ayat and turns away from the guidance of Allah never will they be guided. My dear brother we are the people of truth. MY GOOD BROTHER. 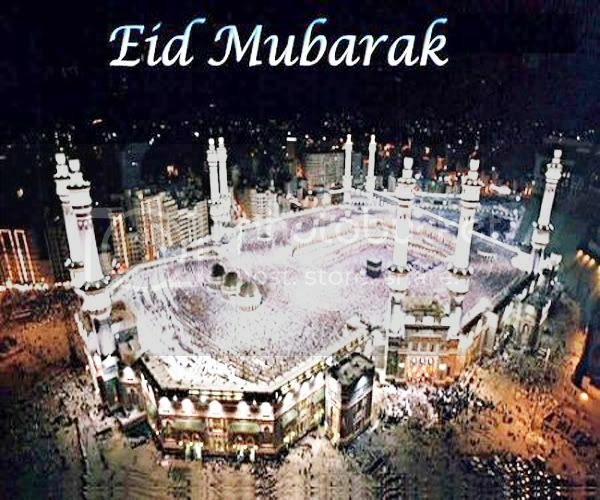 WISHING YOU WELL AND HAVE A GOOD EID UL ADHA. JUST VISITING YOU AND MAY ALLAH HELP BE WITH YOU AND REWARD YOU FOR YOUR GOOD ACTION,AMEEN.